People in New York and across the United States are still poisoned by lead every day despite strict laws designed to prevent this. 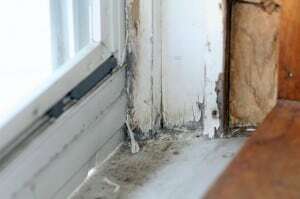 Many older homes and buildings still have surfaces covered with lead paint, such as windows, doorframes, stairways, railings, banisters, woodwork, molding, porches and fences. Peeling paint is a signal that there may be lead in your home. Scraping or sanding this paint often creates dust and paint chips that can be inhaled or swallowed by unsuspecting children and adults. The Law requires property owners to maintain a safe environment for their tenants, ensuring that it’s free from lead-based paint. If they do not, they may be liable to those who become poisoned as a result. Both children and adults are at risk of lead poisoning. Even small amounts can be dangerous to children because their bodies absorb lead more easily than adults. The most common way that children are exposed to lead is by swallowing lead paint or breathing in its dust. This can result in learning and behavioral problems, interfere with growth, affect hearing and damage the brain, kidneys and other organs. Expectant mothers are also at risk from lead exposure, causing their babies to be born prematurely or put the mother at risk of a miscarriage. There are usually no immediate signs of lead poisoning. When there are signs, they are often mistaken for symptoms of other illnesses. These may include stomachache, cramps, irritability, fatigue, vomiting, constipation, headache, sleep disorders and poor appetite. However, a blood-lead test is the only way to diagnose lead poisoning. If you believe that there is a risk you or your family may have been exposed to lead, we urge you to have everyone tested in time to prevent or limit injury. Many believe that because lead paint has been outlawed for residential use for many years, that it is no longer a problem. However, this is simply not true. If you or your child has an elevated lead level, call ARDITO LAW FIRM, P.C. as soon as possible.